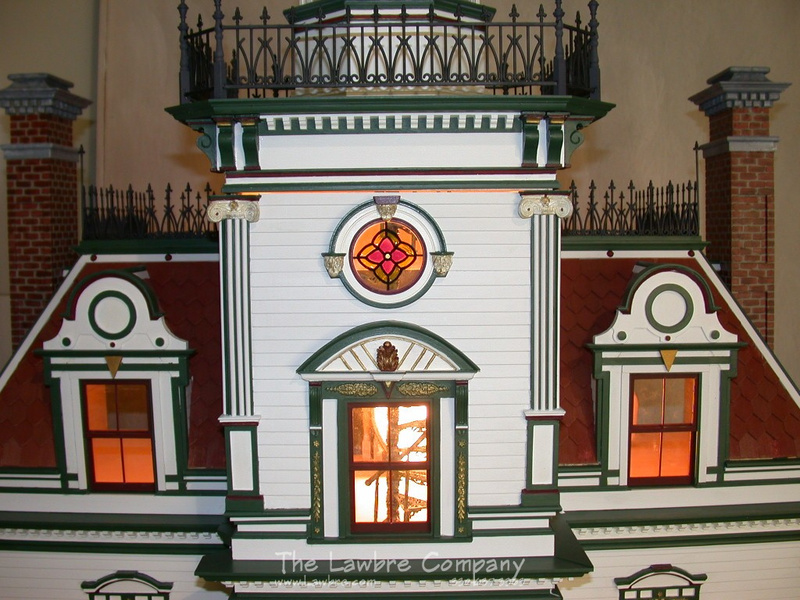 The latest addition to the Lawbre Company's line of fine houses is based on the historic Fort Tompkins Lighthouse, which once graced the shores of New York. Although this house no longer survives, the beautiful Victorian architecture of this lighthouse keeps its memory alive. 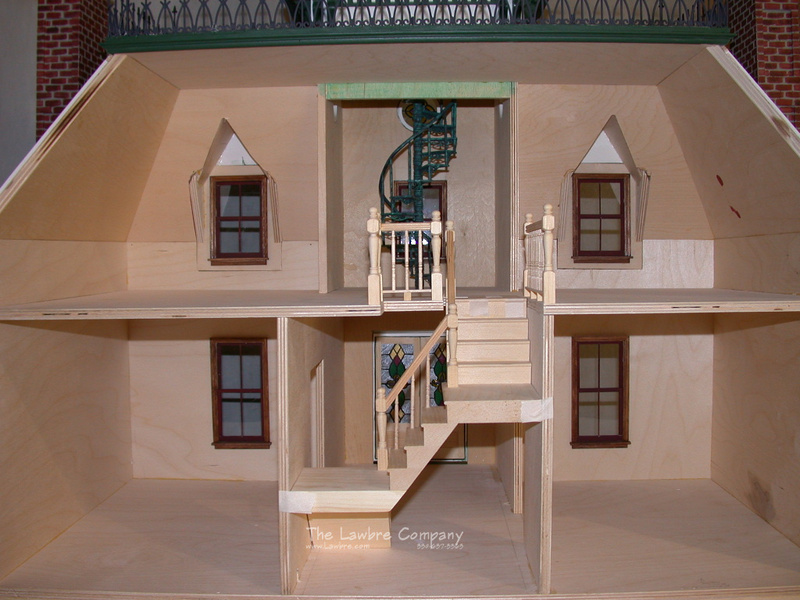 This house is rear opening but can be fully enclosed. It has five rooms with a stairwell leading to the lightkeeper's tower. 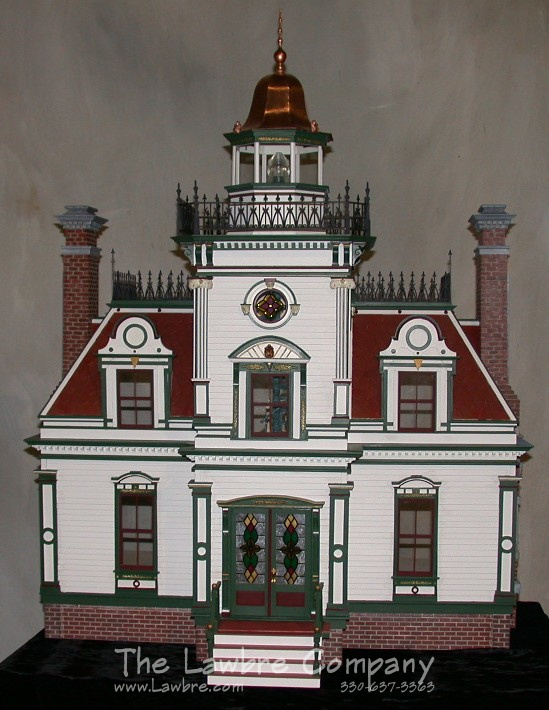 It comes with one set of wood stairs and a set of beautifully detailed "wrought iron" spiral stairs in the light tower. 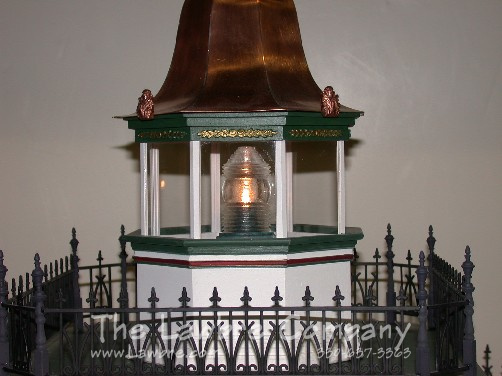 The beacon has a replication of an actual light house lens. This house is loaded with detail. This house is only available finished on the outside. Call for pricing.